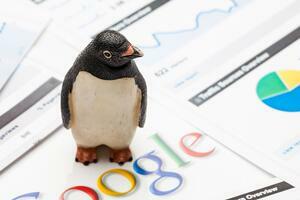 Google Penguin 4.0 Update: What Does It Mean For You? The latest Penguin update changed some of Google's core algorithm and penalizes sites that use black-hat link schemes in order to garner and change search rankings. With the update, data is also to be refreshed in real time—meaning that changes to a page will be active as soon as it has been reindexed. This is great news for people updating their sites or changing any information, since the benefits will be almost instantaneous. Penguin also now devalues spam by adjusting the ranking of the page, as opposed to a whole site—which is actually great news for sites that would otherwise have been condemned because of just one page. Basically, Penguin has just made it much harder to manipulate research results, which is meant to hurt services that use “spammy” tactics. It might not affect you at all, but there is no way to totally tell until the update has been fully rolled out. In fact, rankings might even “bounce around” a little bit before settling back into their proper positions. The first step a business or agency performing SEO services should take is to perform a content audit to make sure that none of your content is breaking any of Google's new rules. After that, keep an eye on your rankings while you stay tuned for any other Penguin update news. SEO specialists are on top of figuring out how to adjust their strategies and services to make sure that their clients' ranking do not suffer in the long run. The latest Google algorithm update may well benefit white-hat SEO practitioners, which is great news for them and their clients. Invest in your website by staying up-to-date on Penguin developments and help your site climb the rankings.